Eleanor Christina (O’Brien) Robinson, 80, of Swanton, MD, passed away peacefully, at home with her family in the early morning hours of Thursday, January 31, 2019. Born August 31, 1938, in Swanton, she was the daughter of the late Arthur and Beulah (Margraff) O’Brien. In addition to her parents, she was also preceded in death by her brother, Gary Edward O’Brien, Sr.
Eleanor graduated from Southern High School, Oakland, MD, in 1956 and moved to Washington, DC, with her dear friend, Betty, at the age of 17. There, she began her career with the Federal Government, and in 1961, married her husband of 57 years. In 1972, the couple embarked on a new adventure, moving to Meyersdale, PA, where they owned and operated a retail business together for 10 years. In 1982, they returned to Washington, DC area where Eleanor worked for an additional 16 years at the US Geological Survey in Reston, VA. After retiring in 1998, they moved back to Swanton, where they built their current home overlooking the family farm. Eleanor finished out her career serving the Deep Creek Lake area as a licensed real estate agent with Railey Realty. 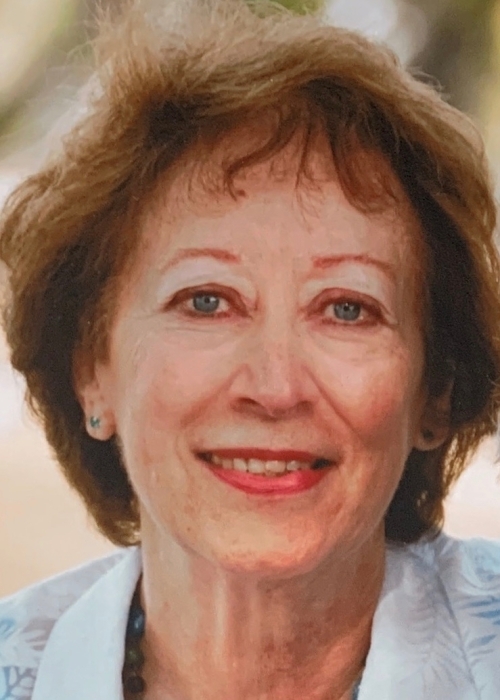 She was a member of St. John’s Lutheran Church, Meadow Mountain and a loving wife and mother, who enjoyed shopping, baking, gardening and spending time with her daughters and three grandchildren. She is survived by her husband, Emmitt Robinson; two daughters and their families, Christine Johnson, husband, Jeff and son, Drew, of Ashburn, VA and Kelly Kobosko, husband, Dan and daughters, McKenna and Kaelyn, of Middletown, DE; one sister, Carole Peck and husband, Robert and one brother, Thomas O’Brien and wife, Nickey, all of Swanton; numerous sisters-in-law, nieces and nephews. Friends will be received at the Newman Funeral Homes, P.A., 179 Miller St., Grantsville, MD, on Tuesday from 4-7 p.m. Funeral services will be conducted in the St. John’s Lutheran Church on Wednesday, February 6, 2019, at 11:00 a.m. with Pastor David Terlizzi officiating. Friends may call at the church one hour prior to the services. Interment will be in the O’Brien Cemetery. Expressions of sympathy may be directed to Hospice of Garrett Co., P.O. Box 271, Oakland, MD 21550.